As any watch aficionado knows, a timepiece should go beyond the merely functional. It needs to spark the imagination, inspire the wearer to try new things and go beyond his comfort zone. Tall order, we know. Not for these timepieces. Destined for lovers of authenticity and strong sensations, the latest model of the Multifort Escape was inspired by a classic version from the 1940s. 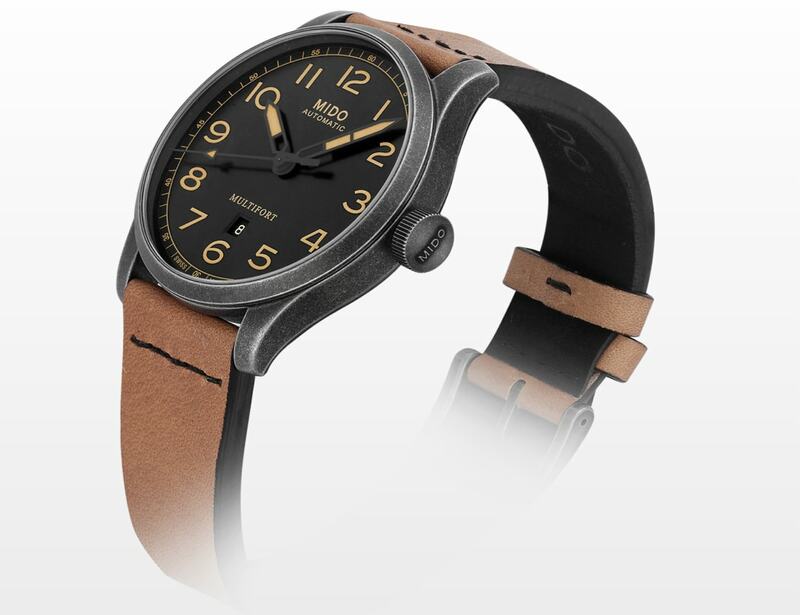 In 1947, American pilot Milton Reynolds broke the record for a flight around the world with a Multifort strapped to his wrist, proving that it’s truly a piece for thrill seekers and intrepid explorers. Seventy years later, the Multifort Escape is still the ideal timepiece for world adventurers. 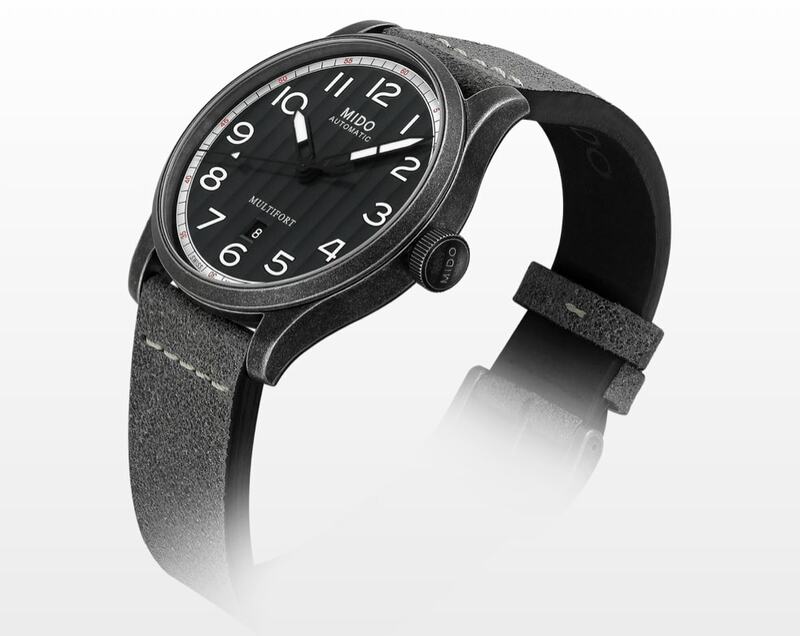 It features a robust 44 mm stainless steel case with an aged and sandblasted black PVD treatment — a clever touch that makes each piece unique and harks back to the brand’s past. 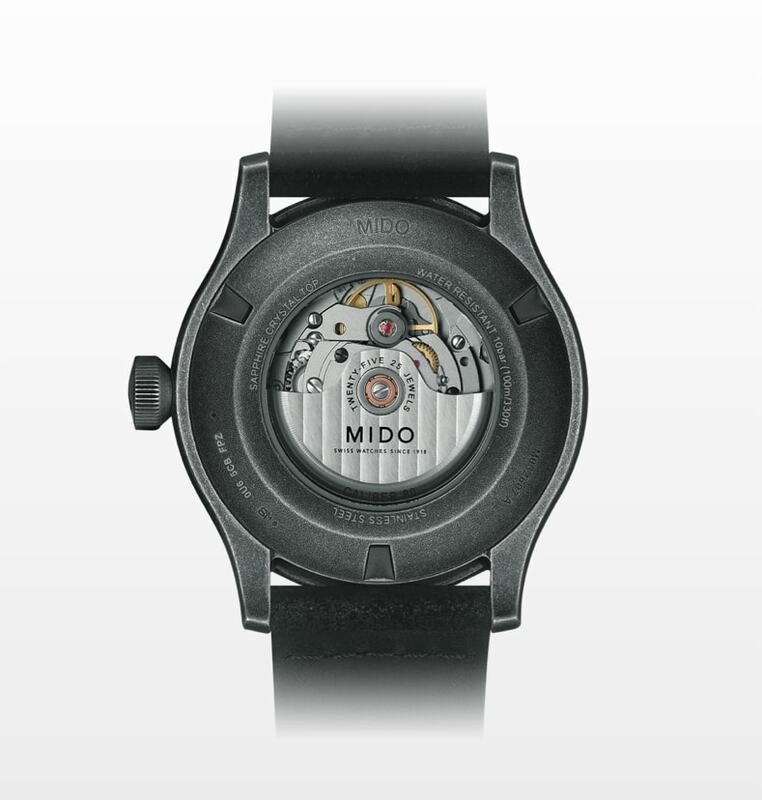 A domed sapphire crystal with an anti-reflective treatment on both sides protects the black dial, which is decorated with vertical Geneva stripes that create an interplay of shadow and light and interspersed with orange touches, echoing Mido’s identity. Numerals and hands are decorated with touches of green Super-LumiNova for legibility. Continuing the vintage theme, the hands, crown and dial were inspired by its 1940s counterpart. Putting the timepiece squarely in the 21st century is the Caliber 80, a latest generation automatic movement, which gives it up to 80 hours of power reserve. Adding an elegant and modern touch is the transparent case back, which shows the finely decorated Elaboré-grade movement with its oscillating weight decorated with the Mido logo. The watch is also water resistant up to a pressure of 10 bars (100m/330 ft). 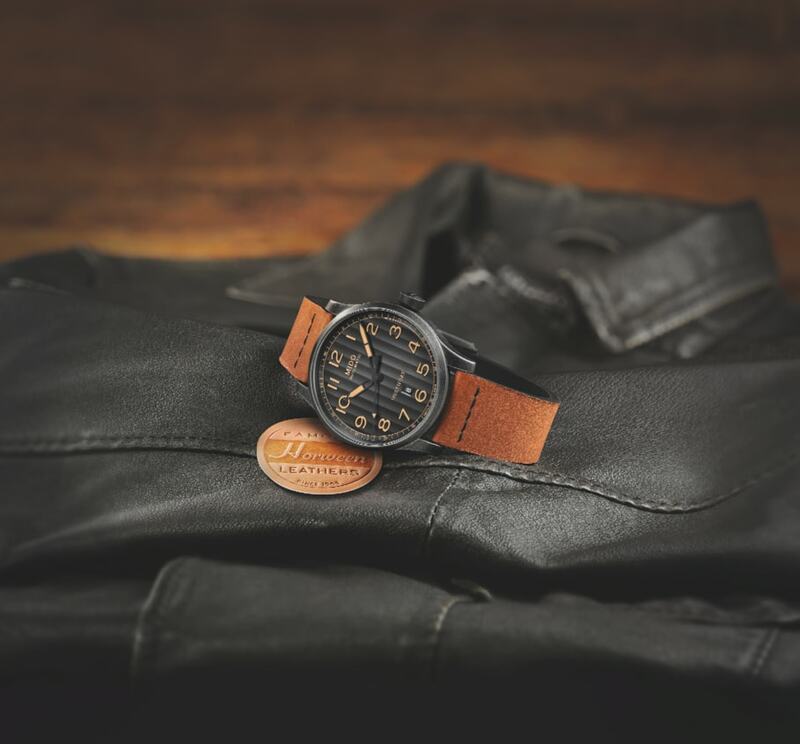 Lovers of special edition pieces may opt for the Multifort Escape Horween Special Edition, which marries exceptional Swiss watchmaking with American leather ingenuity. 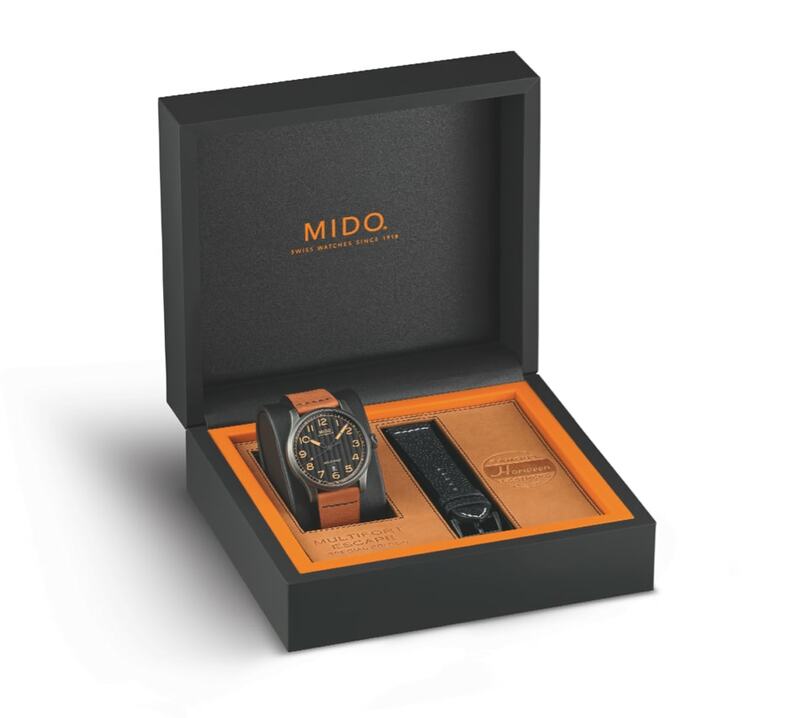 A successful partnership between Mido and prestigious American brand, Horween, this special edition timepiece is perfectly suited for every occasion. It comes with two easily interchangeable leather straps: The Essex, brown genuine calfskin with black stitching, whose patina will become more beautiful as it ages and American Football, black genuine calfskin with beige stitching, the same leather Horween uses to manufacture American footballs for over 70 years. 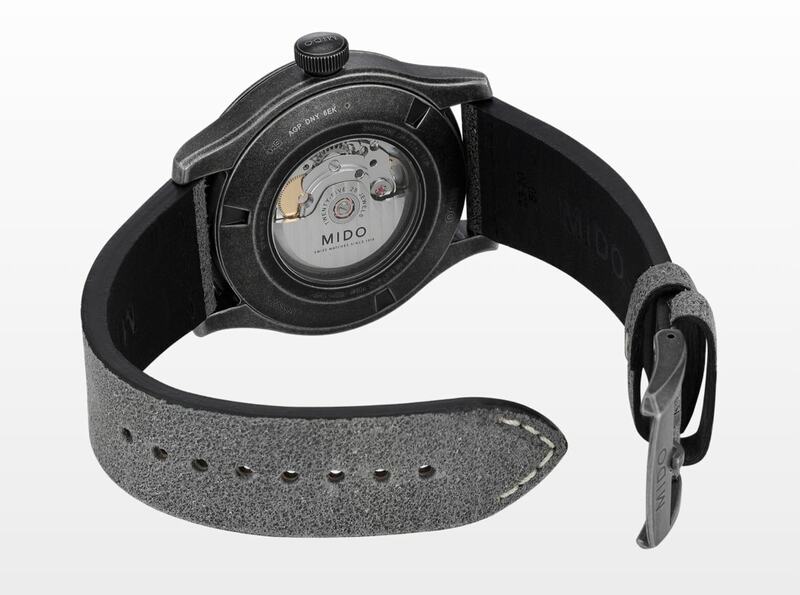 Mido and Horween are the perfect pairing. Both come from a long tradition of exceptional craftsmanship and use impeccable materials of the highest quality to create products that stand the test of time. The two brands first collaborated on a timepiece in 2015 with a Horween leather strap exclusively for the US market. 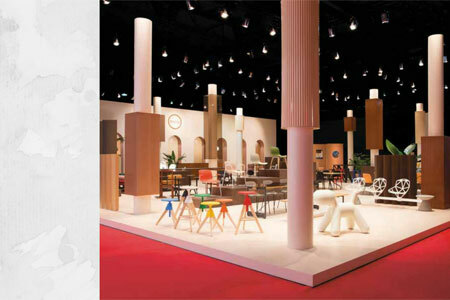 The latest iteration firms up a partnership that should stand the test of time.